In 2017, Germany and Austria renewed their contributions by pledging EUR 1 million and EUR 1.5 million, respectively, and an additional EUR 600,000 was pledged by Lithuania. 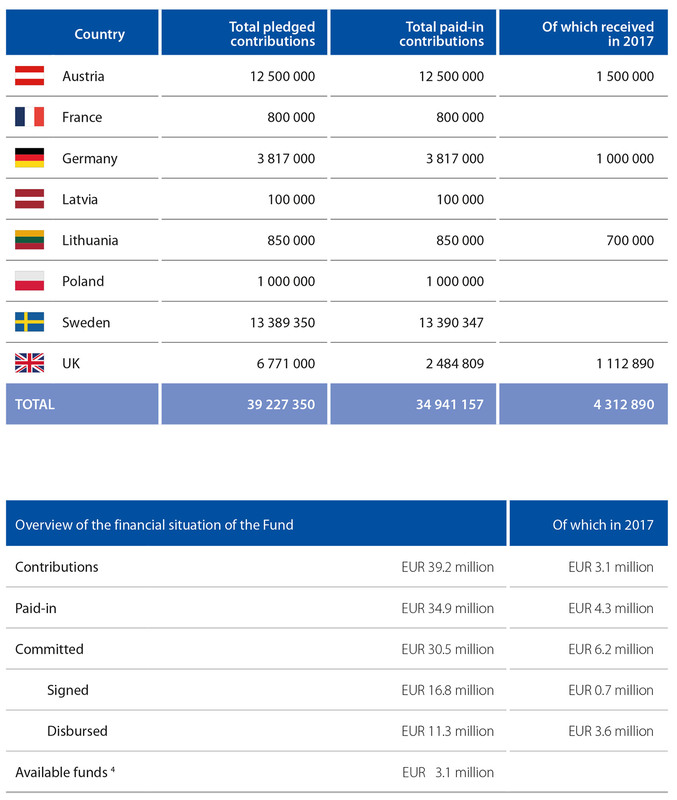 By the end of 2017, total pledges amounted to EUR 39.2 million and total paid-in contributions reached EUR 34.9 million. Available funds are calculated on the basis of paid-in contributions, taking fees into account.